For those Traktor users that have a Maschine, you are most likely using it to produce a few beats and loops here and there and not just simply as a Traktor Midi Controller. If that is the case I wanted to let you know of a new expansion pack just released by Native Instruments. 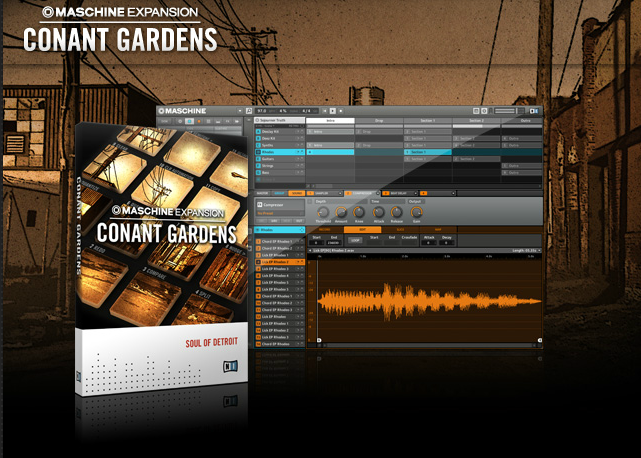 The Conant Gardens pack contains some sweet hip hop sounds produced by Amp Fiddler. There are some nice trickling melodies in there with some crisp sounding one shots. You can download the kit for $59.00 over at Native Instruments.